I’m a big fan of supporting local businesses & spend quite a lot of time navigating through Etsy, marvelling at the amazing & unique crafts people have created. For those of you who don’t know what Etsy is, it’s an online store filled with handmade goods from talented individuals all over the world. Literally anything you can think of, you can find on Etsy with hundreds of designs, patterns & colours. I have gathered so many special treasures from Etsy & discovered wonderful, rare gifts to give to the people I love. 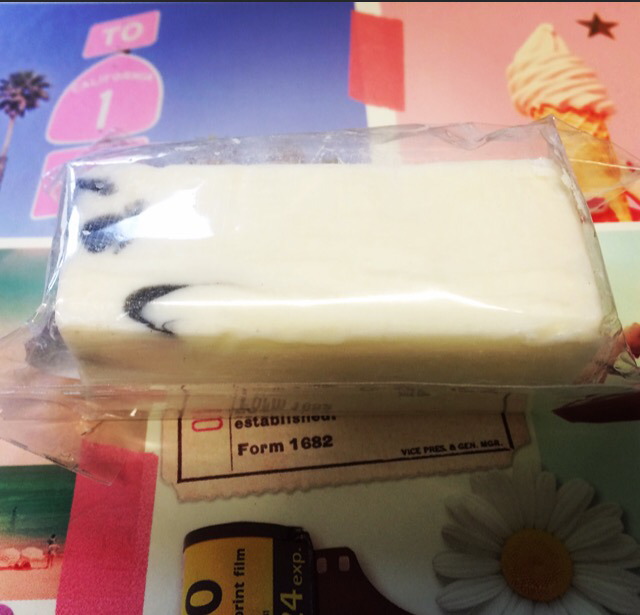 A month ago, I started to wonder if craft subscription boxes existed as who wouldn’t love a box full of homemade treats? After some Googling, I discovered The Handmade Box! The HB offers many different category boxes from Mums & Bubs, Ladies, Sons, Daughters & more! It delivers monthly in Australia and packs 6-8 unique crafts from small businesses all over the country. It accepts anybody who is a creator and offers them a chance to promote themselves. The boxes are only $21.95 (excluding shipping) & you aren’t locked into any year long subscriptions. You are welcome to pick and choose the month you receive them. 2.) I’m super happy with this gorgeous Wall Decal from The Waltzing Moose! 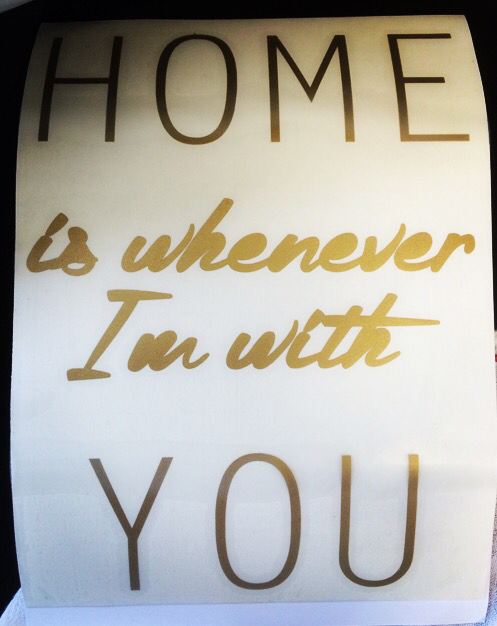 I really love this beautiful quote & can’t wait to find a place for it in our home. It comes with an instructional card and the retail price for this gift is $7.00. The Waltzing Moose is a store on Etsy that sell items primarily for bubs including gorgeous, colourful mobiles for cots. Check them out for a great baby shower gift! 3.) This was the first gift that caught my eye when I opened the box. 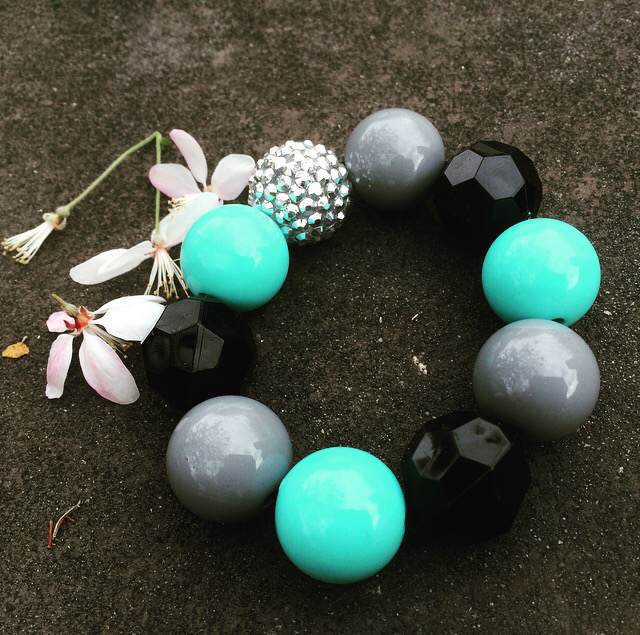 It is a beautiful, chunky statement bracelet from Daysie Chains. The retail price is $11. It is a comfortable, stretchy piece with a great blend of colours to match most outfits. Check out http://www.daysiechains.bigcartel.com/ for adorable, bohemian customised crafts! 4.) Mmm what a beautiful blend of herbs! 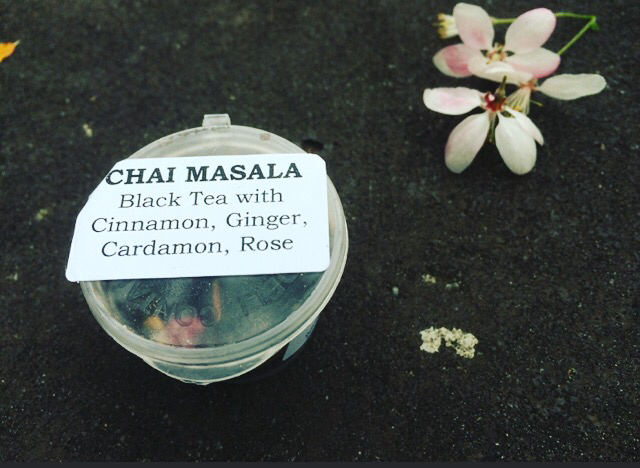 This Chai Masala comes from Blackbooks Tea. Once again, I can’t drink this as it contains caffeine (which I’m allergic to) but my Mum will love this sweet smelling sample! I really love the mix of Cinnamon, Rose, Cardamom & Rose which could also be used as a Potpourri. 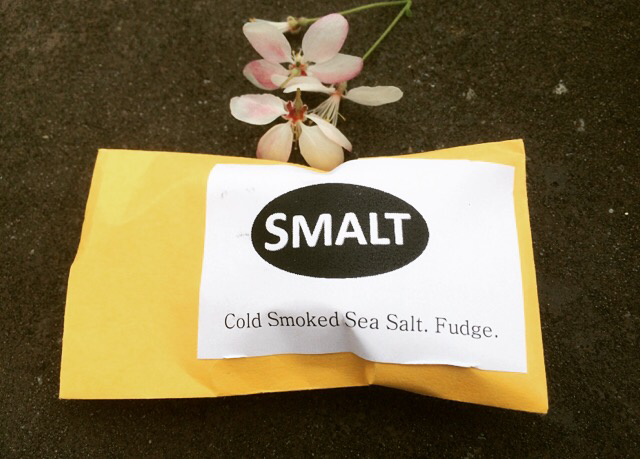 This sample is $1.50 and if you navigate the Blackbooks Tea Facebook Page, you will find plenty of variety! 5.) 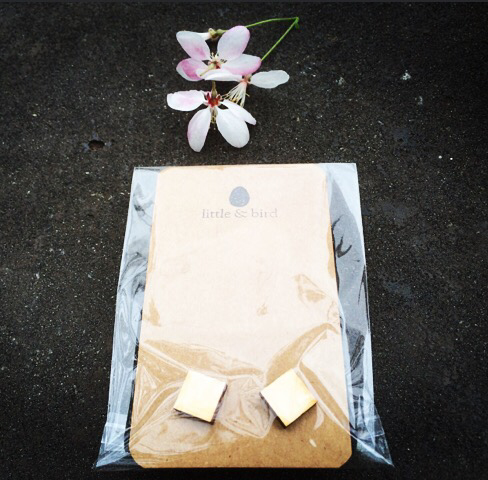 I’ve left these adorable Raw Wooden Earrings from Little & Bird in the packet as I want to gift them. I used to have pierced ears but now the holes have closed up. They are absolutely gorgeous and crafted with love. The retail price for this piece is $5. Little & Bird is a store on Etsy that mainly craft wooden earrings & brooches. Christmas is coming up and I think some of these unique designs would be great stocking fillers! 8.) 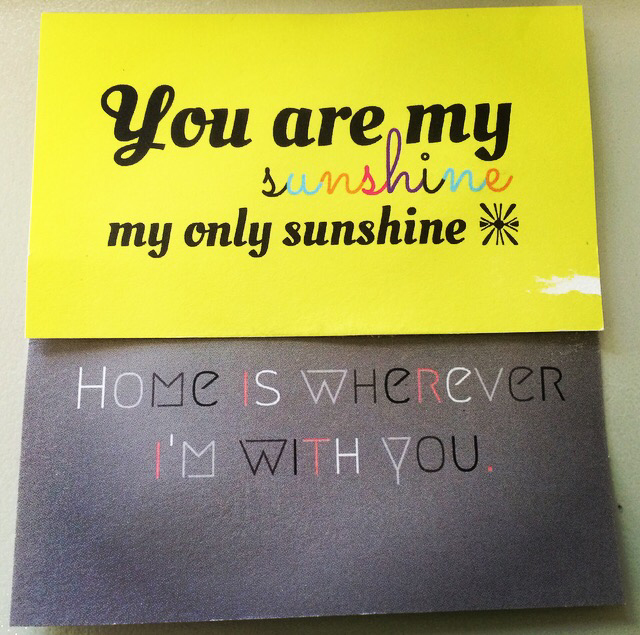 I found these adorable Inspi Cards nestled in my box and they instantly brightened my day! For only $2 per card, you can purchase these inspirational cards and leave them for friends and loved ones to find. Like Inspicards on Facebook to learn more! 9.) I saved my favourite for last! I absolutely love Bath Bombs & take a bath at least once a week with a good book. 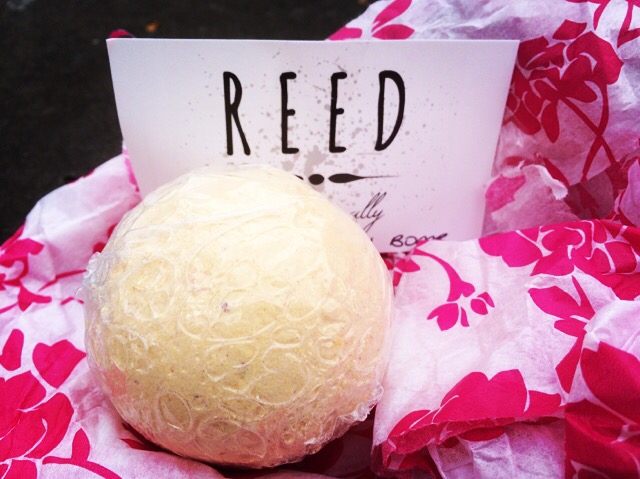 Reed have provided this Citrus Burst Bath Bomb which is 100% vegan! I immediately stalked their website and saw that they have an entire vegan section that sells body scrubs, bath salts & bombs, soy candles and skincare in the most beautiful colours and shapes! The retail price for this piece is $5.50 and I will definitely be buying from this Melbourne based company in the future! So there you have it! I really loved my haul from the Handmade Box. What I love even more than the products themselves is the exposure to new and talented creators! Each box is different from the last and you’re bound to find some treasures you love. You will also find many discount cards for future purchases within! 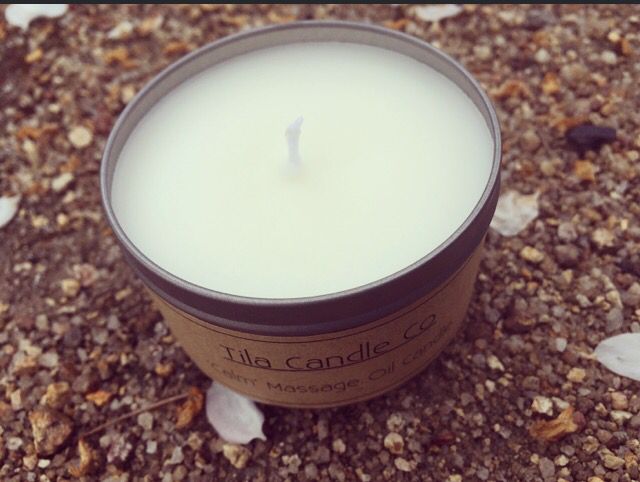 Head over to the Handmade Box by clicking here and order the October Box! The Christmas Special Box is also available for pre-order so if you’re absolutely stumped on what to give that special someone, this box of unique goodies will do the job! If you’re interested in promoting yourself and being a part of futures boxes, follow The Handmade Box on Instagram and #thehandmadeboxau to be seen! Share your creativity with the world!